Hyde Park, NY – Amid all the ingredients tasted throughout the curriculum at The Culinary Institute of America, there is now an oasis for students with food allergies. 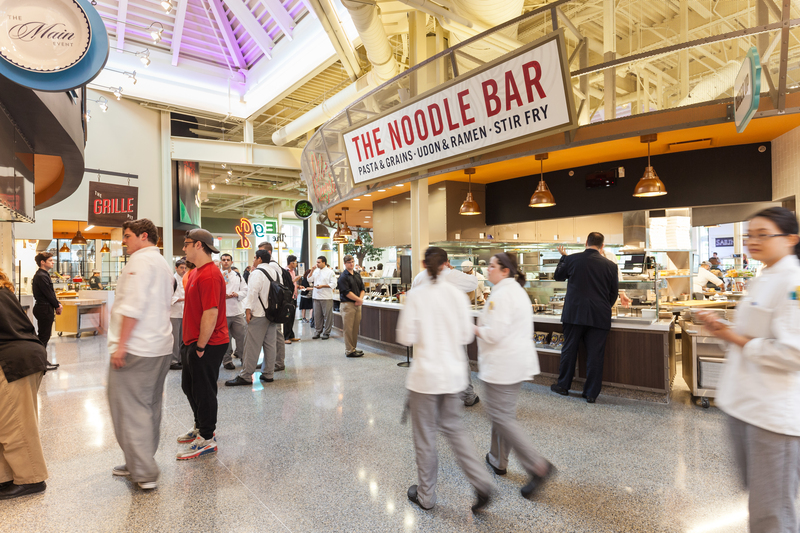 Developed by the CIA’s Allergen Awareness Committee and foodservice provider Restaurant Associates, the new OASIS program provides meals and snack options for students who are sensitive to any of the eight most common allergens. A kitchen on the college’s New York campus has been specially designated to prepare the foods in an environment clear of any of the eight major allergens outlined by the U.S. Food and Drug Administration—peanuts, tree nuts, fish, shellfish, eggs, milk, soy, and wheat—as well as gluten. Housed in a building away from the other 42 teaching kitchens, it is carefully monitored to avoid cross-contact or cross-contamination. After the meals are composed, they are sealed and transported to the college’s student dining venue, where they can be purchased as “grab-and-go” items on CIA student meal plans. As with other CIA dining options, OASIS menus promote the principles of the college’s Menus of Change initiative. Among these principles is creating dishes using whole grains, vegetables, and alternative proteins, and having meat play a supporting role on the plate, if used at all. Main courses are vegan, and students have the option of adding a small portion of grilled chicken, beef, or pork if they choose. Chef Smith adds that the special kitchen also serves as an R&D lab for allergen-free recipe development for the CIA as well as for Restaurant Associates and its parent company, Compass Group. The program launched in May, and it has quickly become popular—and not just with students who have food allergies or other dietary restrictions. An added draw is that the offerings are minimally processed and made from single-source ingredients without hidden additives or seasonings. In addition to providing food for students on restricted diets, OASIS helps promote campus-wide awareness about various allergens and what protections are necessary. Menus from kitchen classes on campus have begun including a list of potential allergens for each dish and, to pass the CIA’s required Food Safety course, students must successfully complete the National Restaurant Association’s ServSafe Allergen curriculum. “Allergen awareness and finding solutions to embrace the needs of those with food allergies are important skills for our students to know as they go on to become food business leaders after graduating from the CIA,” Chef Walsh says.